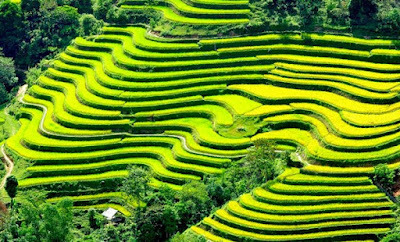 Several new beautiful caves have been discovered in the far north province of Ha Giang, which are believed to have huge tourism potential. Stretching over the area of Mau Long commune, Yen Minh district and Sung Trai commune, Dong Van district, the cave was discovered by scientists in 2010 and is considered the most beautiful cave to be unearthed in Ha Giang so far. 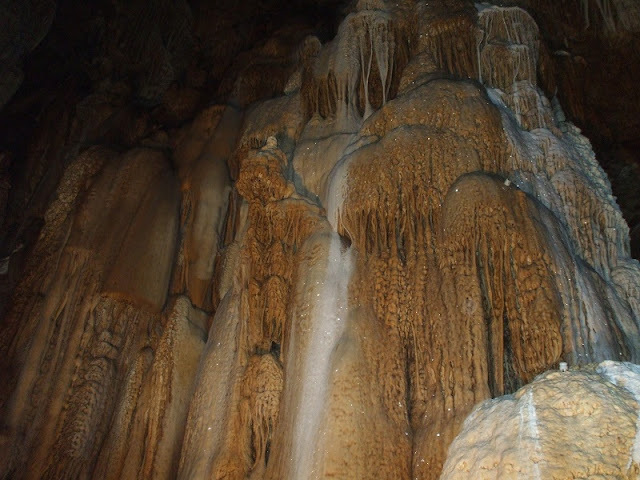 The cave was formed in limestone, which is a common geological tendency across the Dong Van Krast Plateau in Ha Giang - a UNESCO-recognised Geo-Park.The entrance to the cave, 30 metres in width, is covered with many valuable timbers. 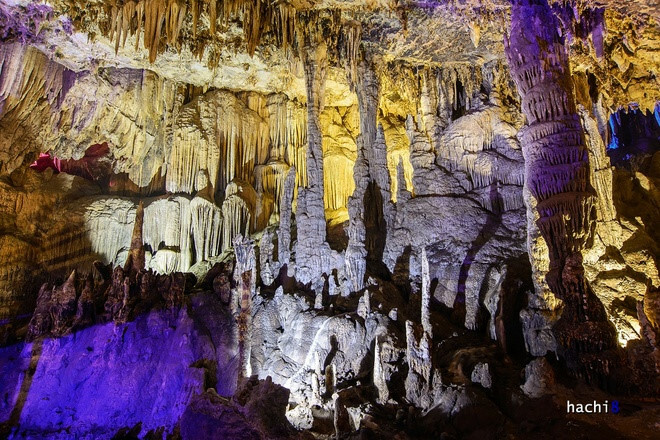 The inside of the cave amazes visitors with many stunning stalactites in various shapes and colours, which have been formed over thousands of years. 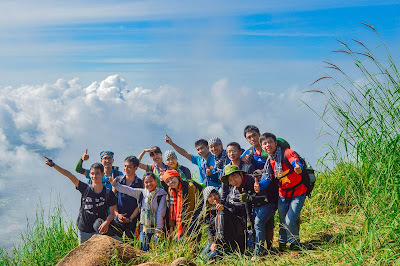 The fact that the Ministry of Culture, Sports and Tourism recognized Kho My Cave as a National Relic Site affirms important cultural heritage values of Ha Giang Province and provides an opportunity to promote unique traditional cultural traits of the ethnics. Phuong Thien Cave is 7 km to the south of the township of Ha Giang. 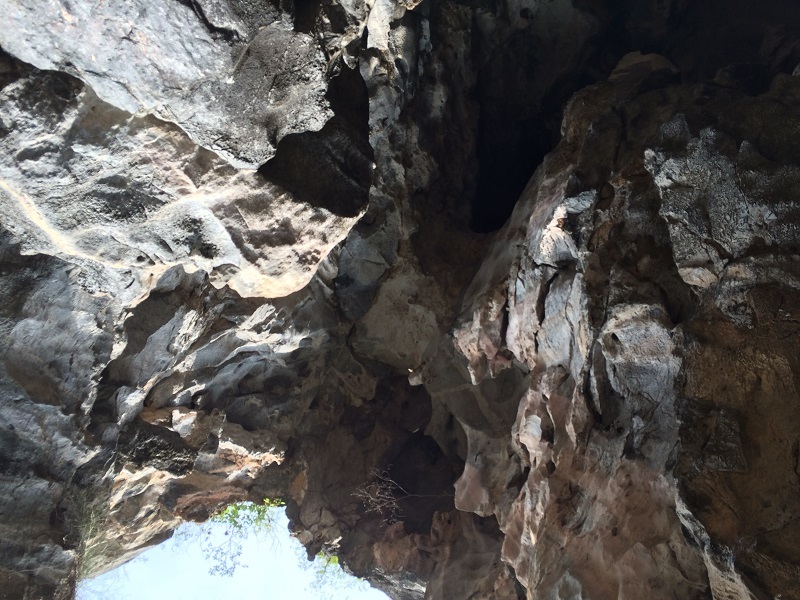 It is the location of many sights, especially natural caves and grottos of Doi, Lang Lo and Phuong Thien. 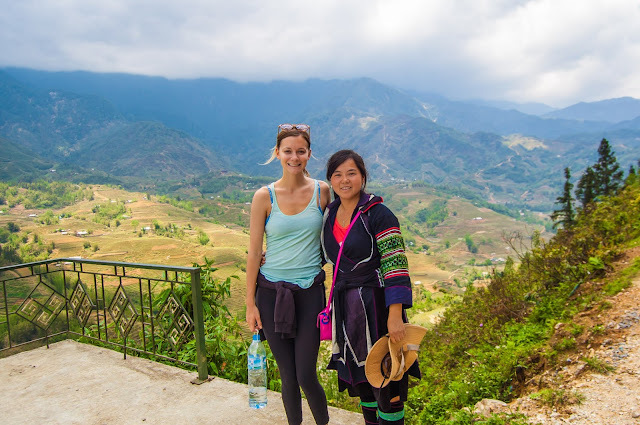 The surrounding area is also known for its plums, pears, oranges, apples and Tuyet Son tea above 900 metres (3,000 ft). 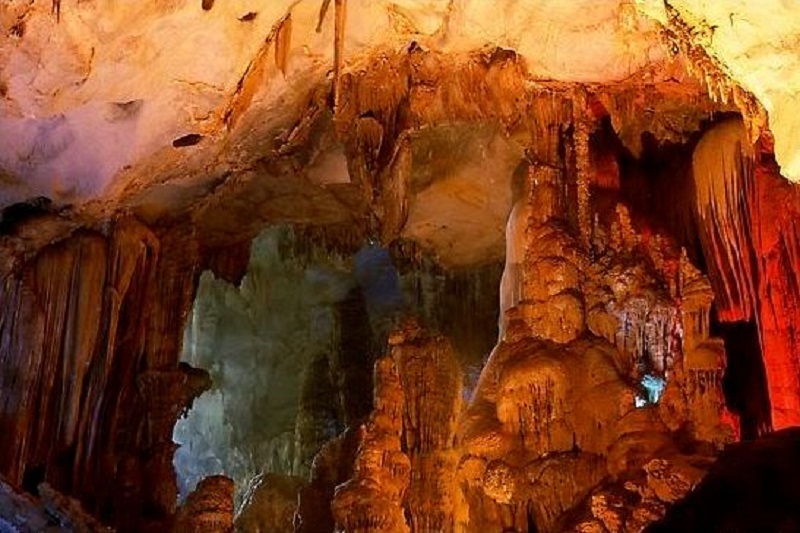 Chui Cave lies 7 km to the south of Ha Giang. It is set about 100 metres (330 ft) into the face of the hill. 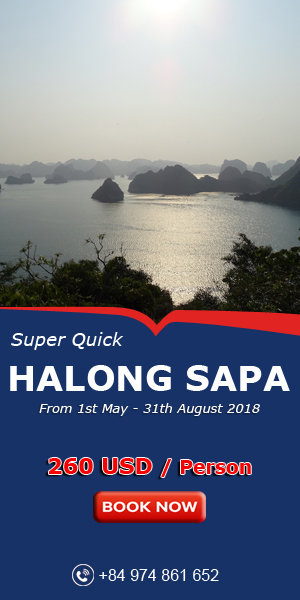 Tien Cave và Tien Spring: The cave is 2 kilometres (1.2 mi) from Ha Giang town. According to folklore, heavenly female beings came there to bathe in the lunar new year, thus its name. The local population uses it as a water source and to pray for good luck in the new year.